Recent tests have found glyphosate/Roundup in our water, urine, breast milk, food, beer and now, wine -- even organic wine from vineyards which do not use Roundup. Drift, rain, irrigation water and fertilizer from animals which eat GMO/Glyphosate sprayed grain are causing the widespread contamination of glyphosate. Glyphosate has been found in our streams, soil, air and rain. 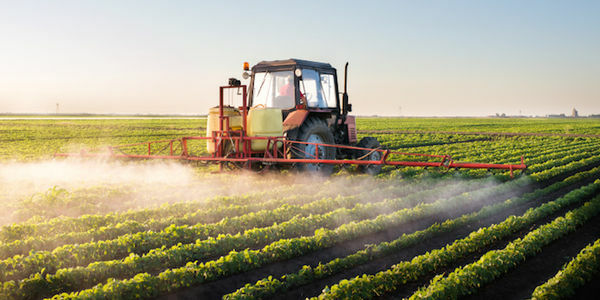 It is nearly impossible for a farmer or manufacturer of consumer products to avoid contamination. Widespread contamination of glyphosate can only be stopped if the EPA disallows the use of glyphosate based herbicides. Glyphosate should not be in our consumer products in any amount. It is not safe as previously claimed. The World Health Organization has deemed glyphosate a probable carcinogen. The Netherlands, France and Brazil have banned glyphosate and the European Parliment has recommended that the license of glyphosate NOT be renewed. We want the EPA to revoke the license of glyphosate now. We have faith in our farmers that they can farm as has been done for thousands of years, without toxic chemicals. The answer is eco-agriculture, which does not use toxic chemicals, improves the quality of the soil, increases water retention and carbon absorption in the soil, improves nutrient content of the food and reduces pests and weeds. Healthy soil equals healthy plants which means healthy people. Protect the future of humans and the planet and revoke the license of glyphosate now. The World Health Organization has deemed glyphosate a probable carcinogen. The Netherlands, France and Brazil have banned glyphosate and the EU MEP’s have recommended that the license of glyphosate NOT be renewed. We want the EPA to revoke the license of glyphosate now. The EU just blocked an extension of glyphosate's use in Europe! We are winning! Share the petition now to build the pressure on the U.S. to follow international trends and outlaw this chemical! Wow! 80K+ signatures! Thank you so much for your support. We're delivering your signature to the EPA on Wed. May 4th in Washington, DC. Can you help us hit 100K by next week? Take one moment right now to share the petition on Facebook. Sharing is how we beat Monsanto!! !